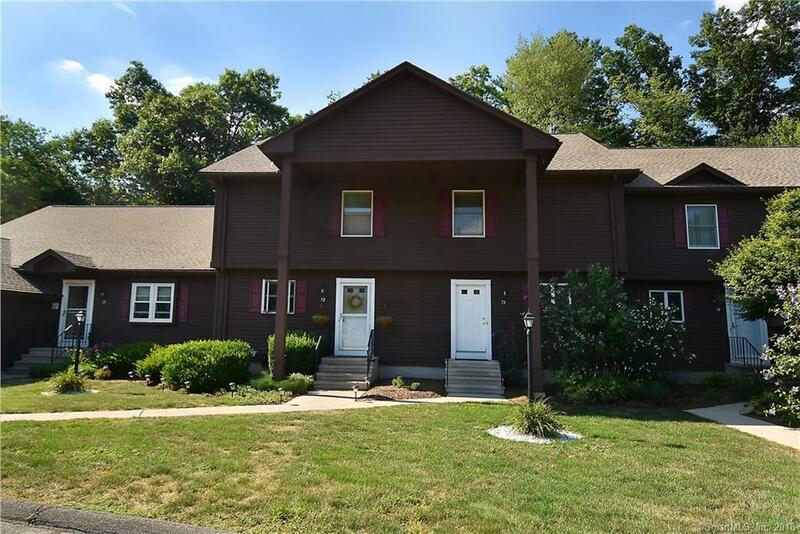 73 Candlewood Drive #73, Enfield, CT 06082 (MLS #170107109) :: NRG Real Estate Services, Inc. This original owner meticulously kept townhouse with a 1 car garage is FHA approved! The interior walls were recently repainted in a neutral tone, and the warm laminate wood floors are 2 years young and have a 30 year warranty! Brand new deck, new garage door, newer slider, newer hot water heater and kitchen appliances are 3 years old. Cozy up to the wood burning fireplace on a chilly evening, or turn on your central air in the summer! Upstairs are two large bedrooms and two full baths. Two pets are allowed. Dogs up to 30 lbs, or 2 cats. Listing provided courtesy of Elaine Smith of Century 21 Allpoints Realty.